DISCLOSURE: I received a free sample from Influenster for testing purposes. All opinions are my own. As a family of six, we do so much laundry. If we don't do laundry at least once a day, we quickly fall behind. 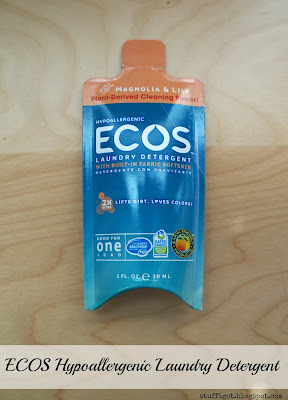 With so much detergent being used, I've been trying to buy more detergents that are eco-friendly as well as effective and economical. That balance can be hard to find. 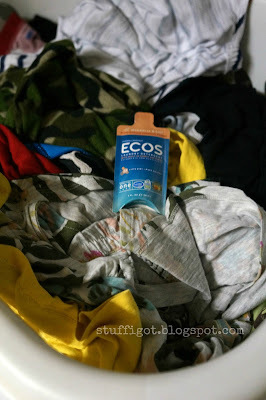 Recently, I had the chance to try ECOS Hypoallergenic Laundry Detergent in Magnolia & Lily scent. It has a concentrated formula that is plant-derived. It protects colors and fabrics and has a built-in fabric softener to save money. It contains no formaldehyde or dyes and is ph balanced and gentle on skin. It can be used in both standard and he washers and combines high quality ingredients with a low price. The detergent has a mild scent. It's nice and not overpowering. My sample was enough for one load in our he washer. Our clothes came out clean and soft. I could barely even smell the magnolia & lily scent on the clothes, so if you are sensitive to scents, this should be fine. 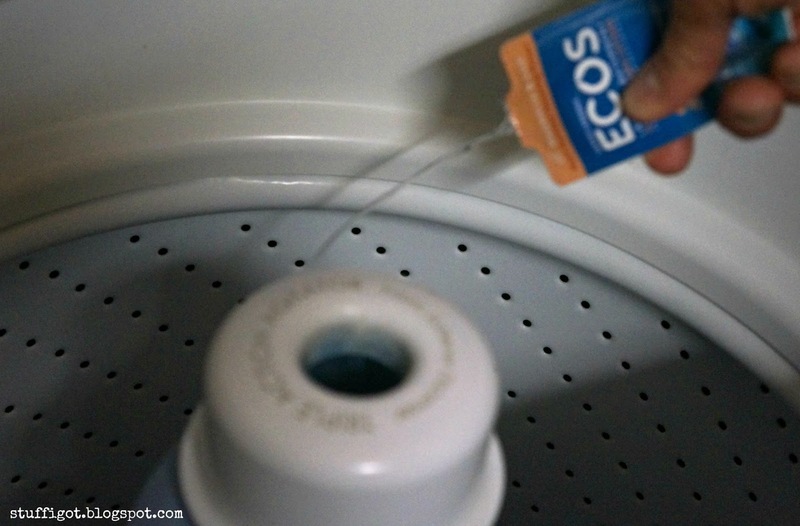 I would definitely use this detergent again. 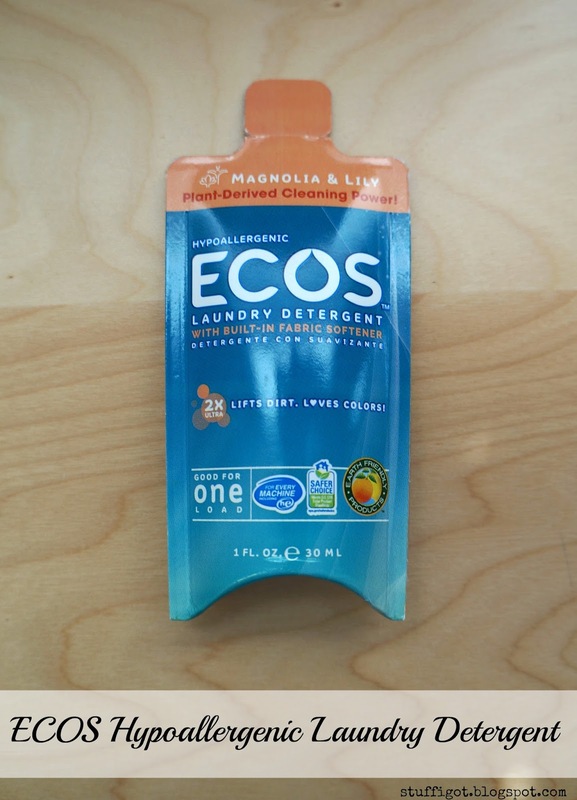 ECOS Hypoallergenic Laundry Detergent can be found in grocery stores, mass merchandisers, club stores and online. You can use their Store Finder to find your local retailer. A 50-oz container retails for $7.25, a 100-oz container retails for $10.15 and a 170-oz container retails for $16.90.